Our raised garden planters are perfect for the small and large gardens. We are also avid gardeners and will be posting here on our adventure in gardening. 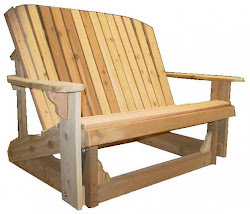 Our top-selling Adirondack Chair features a sculpted seat, and curved back slats for maximum comfort. Made with Western Red Cedar, they will last a lifetime. Yes, it is a great day to be in Arizona, 72 degree high, slight breeze and slightly cloudy, could not ask for a better day. Well, yea I could, I could be outside, but I am working and that is good also. Yesterday and today, my oldest daughter and her sister-in-law put together a Christmas Bliss Boutique, it has a lot of cool things for sale from 15 crafty people. My furniture is there along with the garden items that we have, in fact, we even show the garden growing behind the house in our raised beds. I am proud of my Daughters work in getting this together. Next year it will be even better. Today, while I sit at my desk and study for an exam at work, I will also be updating the website with pictures and descriptions of the furniture and garden items that we offer. 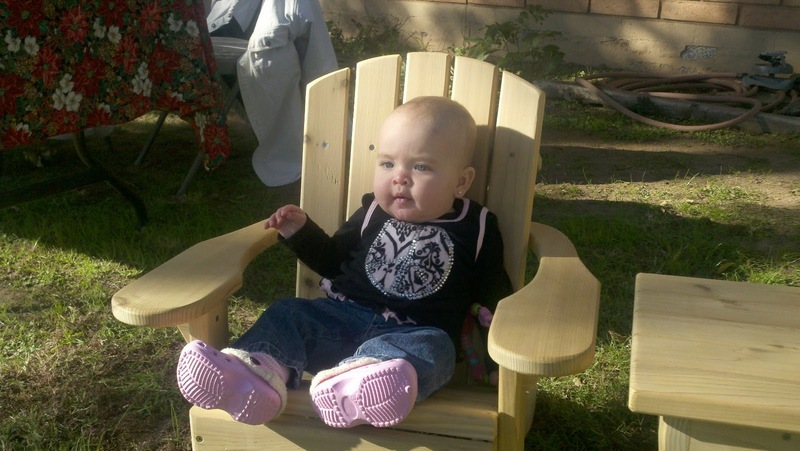 But first, here is a picture of my Granddaughter sitting in one of my children sized furniture, she is such a sweetheart. 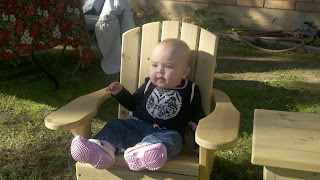 Notice how she is just enjoying the chair. If the weather permits, spend it outside, you will enjoy it!! !